At Kreative Dezign our main business is website and graphic design, but when it comes to graphic design, we not only do the design, but also provide the finished printed product for our design clients. You will never have to worry about the printer saying "Call the designer, it's their responsibility" and you won't have the designer saying, "Call the printer, it's their responsibility." What's more, we are able to, almost always, keep the charges for printing very low for our design clients. Kreative Dezign offers customized, professional design solutions for a broad range of printed and web marketing materials. We will plan, develop, and deliver any size project from small one-off logos, business cards, and brochures to comprehensive branding & identity packages and informational or ecommerce websites. What exactly can we print you ask? Here is a quick list, if you do not see what you are looking for on this list please ask because chances are we CAN print it. 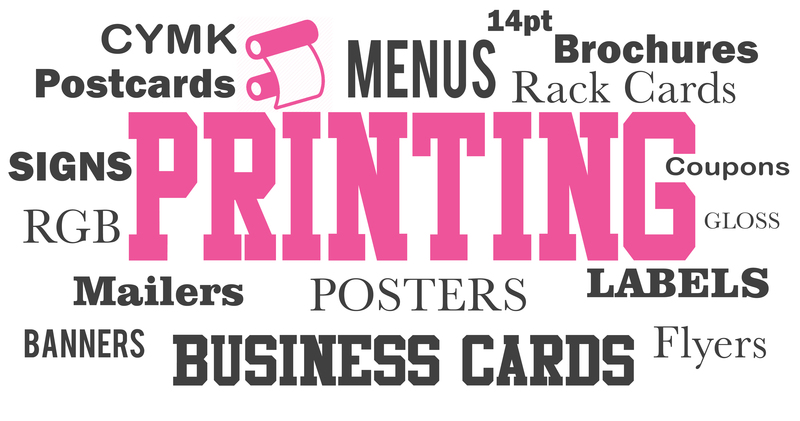 What exactly can we print you may ask? or give us a call at 978.466.9995.